Aleta's Arty Facts: Announcing the Inaugural Newcastle Antiques & Collectables Fair 2014! 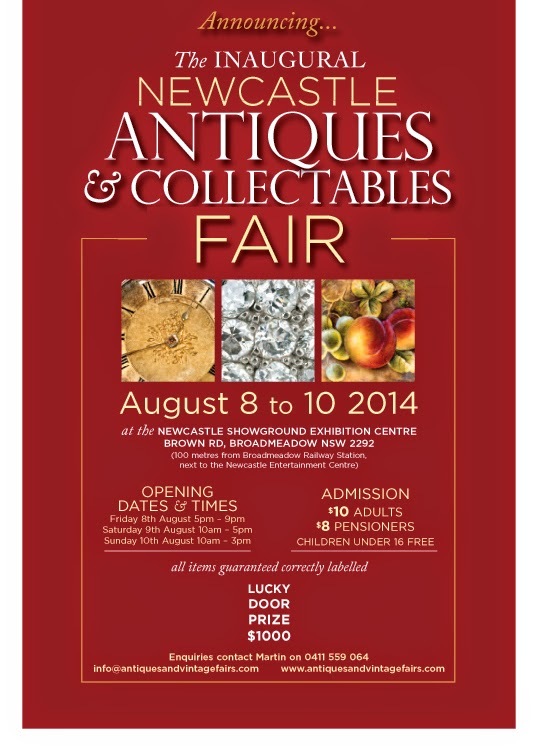 Announcing the Inaugural Newcastle Antiques & Collectables Fair 2014! to take place on 8th – 10th of August 2014. Children under 16 accompanied by adults, free.